Many of you will know that my inspiration for these trails and my own love of aviation stems from my father and his own love of aircraft. 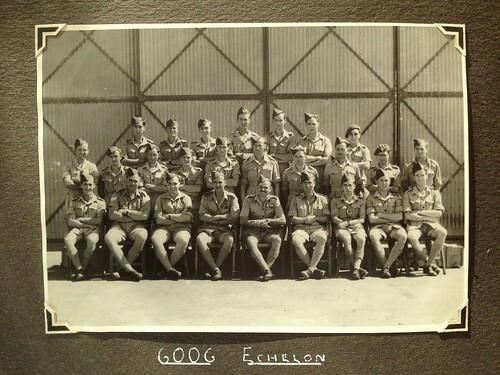 A love that took him into the Royal Air Force in 1946 serving with 249 Sqn, 213 Sqn and 6 Sqn in 6006 Echelon, 324 Wing. This service took him to the Middle East, where he worked on Spitfires, Sea Furies, Tempests, Meteors and Vampires. 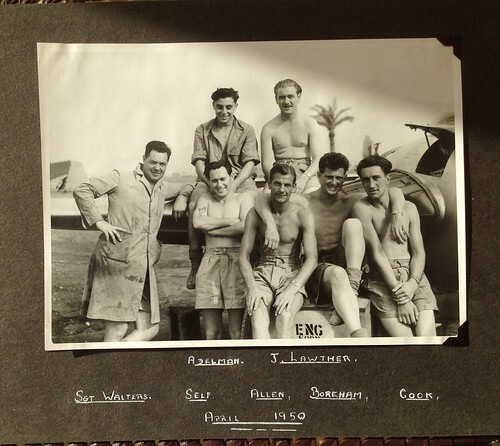 He transferred through Ismailia where he worked on Sunderland flying boats to Lincolnshire. Here he spent his last few years, ending at RAF Manby where he worked on Lincoln bombers. He was based in Habbaniya, Mafraq, Deversoir, Ismailia and several bases within the U.K. and met many influential people including King Abdulla of Jordan. 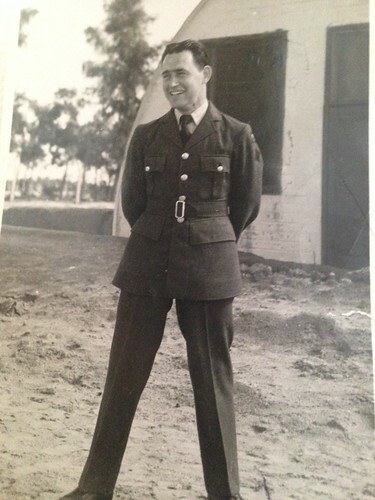 His time in the Middle East brought him into contact with many aircraft types: HP Hastings, Fireflies, Ansons, Devons, Catalinas, Valettas and Royal Pakistani Air Force Attackers to name but a few. He told many tales, including those of accidents and deaths of aircrew, recorded the passing of ships along the Suez Canal, and recorded his trips into nearby towns. He reached the rank of Corporal rejecting further promotion so he could continue working on aircraft, building a special bond with those around him. My father’s service lasted into the mid 1950s where he left and continued in the aviation industry at Scottish Aviation before moving to Baginton airfield near Coventry and employment with Armstrong-Whitworth. Eventually the car industry became more lucrative to work in, and with a growing family, he sadly left aviation behind. My father shared many of his memories with me and my brother and sister. He taught me to fish, ride a bike and drive a car. He would bring us treats every Thursday night from work, a simple token but one I hold dear to this day. He would take us on holidays and to airshows, driving many miles in a small Triumph Herald before we could afford a larger more ‘suitable’ car. It was thanks to him and his amazing engineering skills, that I learnt how to fix my own cars and Motor cycles, and through him I learnt the basics of wood working. It is thanks to my father that I am who I am today, and it is with this in mind that I sadly announce his passing at the age of 89 on Monday 25th June 2018. He was a gentleman, he was kind and considerate and always believed in right over wrong. He loved my mother whom sadly passed away some time ago, and to whom he was married to for nearly 50 years. His only wish, outside of us, was to be with her again, and on Monday 9th July, in conjunction with his wishes, he was finally cremated, his ashes being placed alongside my mother’s for eternity. My father may be physically gone, but his memory and the wisdom he shared shall live on in his three very grown up children and his five grand-children, all of whom love him dearly and miss him already. The Inspiration Behind My Trails – My Dad.